I opened the garage door this morning to see something we have all missed recently: the sun. 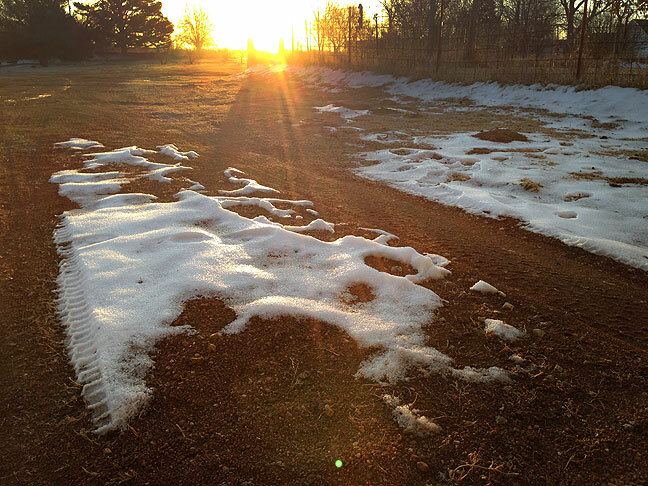 Early morning sun shines on the remnants of snow on our driveway today. Good for you. It’s nice to be reminded once in a while of that great gassy ball that keeps us all alive.